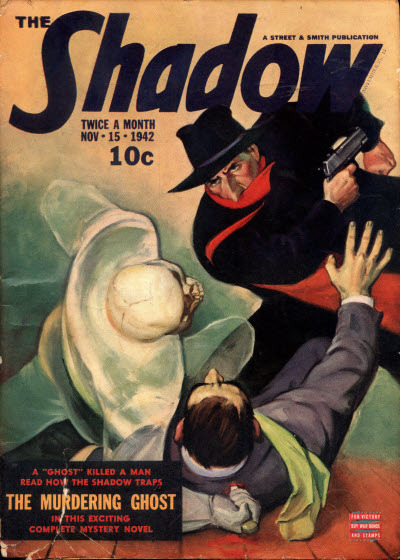 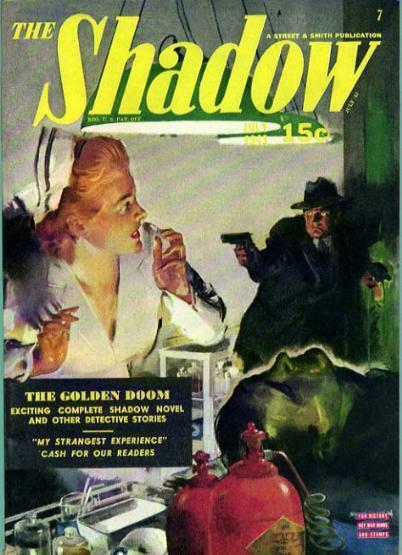 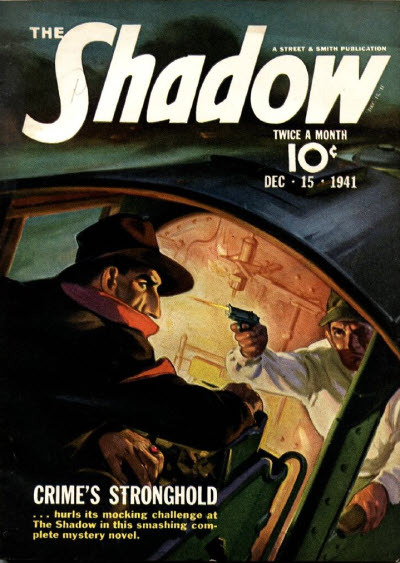 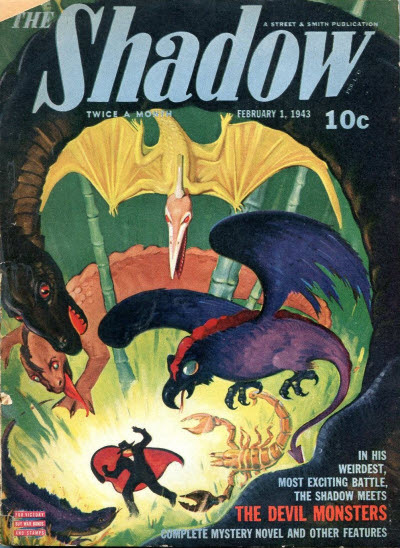 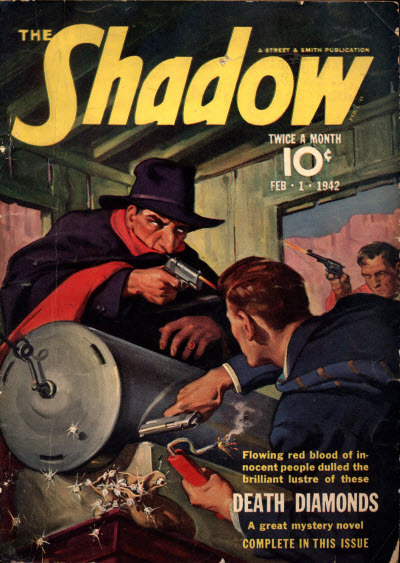 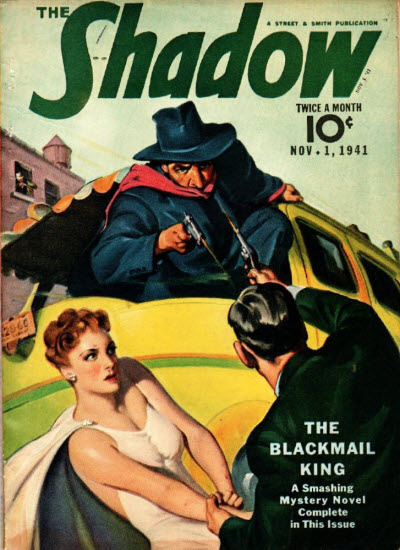 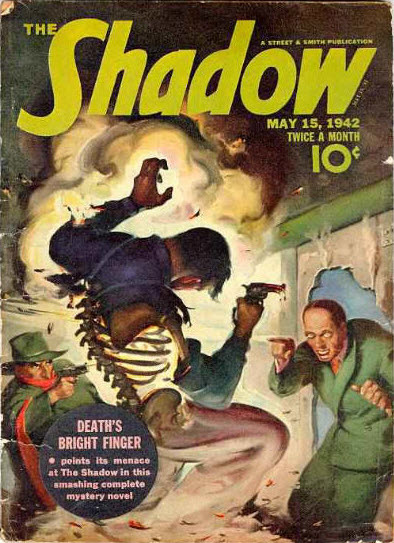 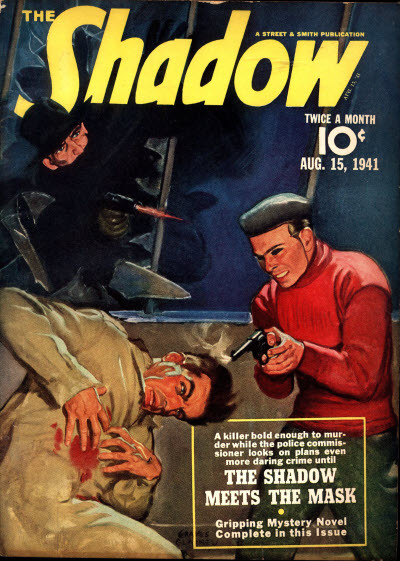 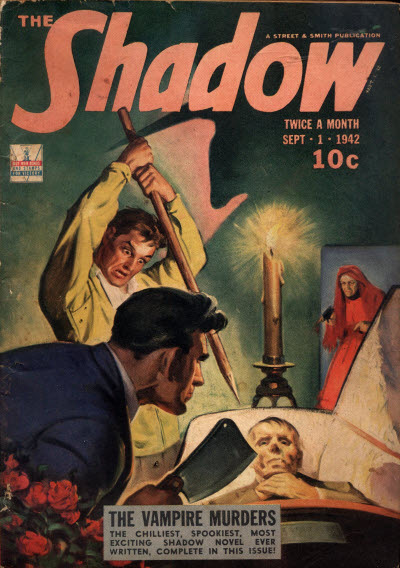 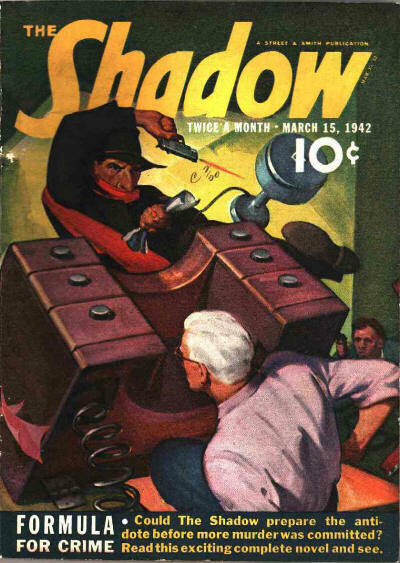 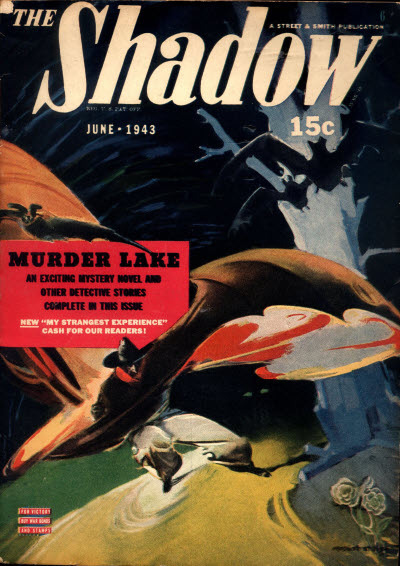 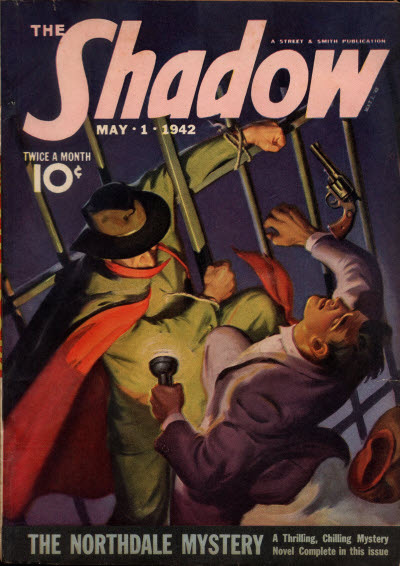 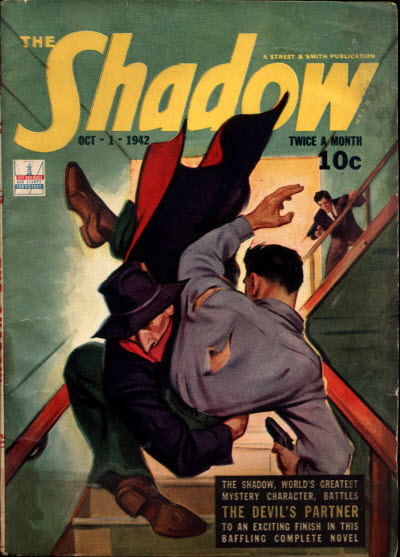 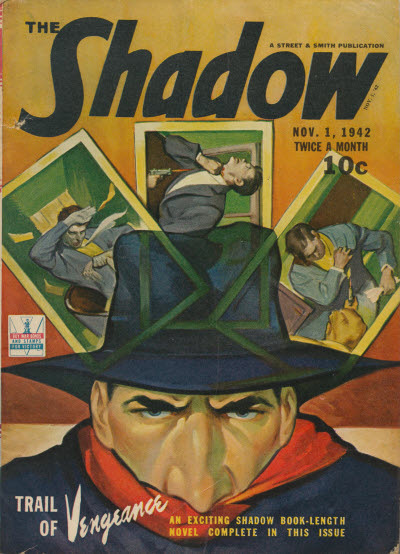 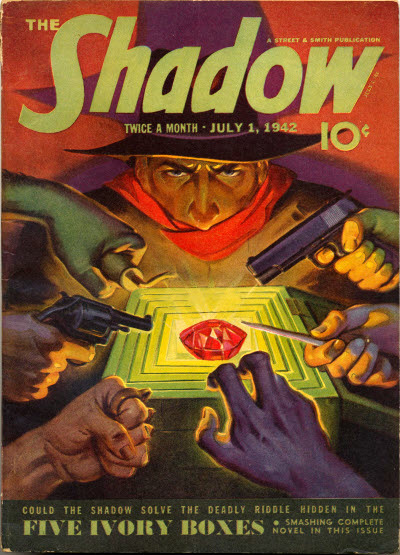 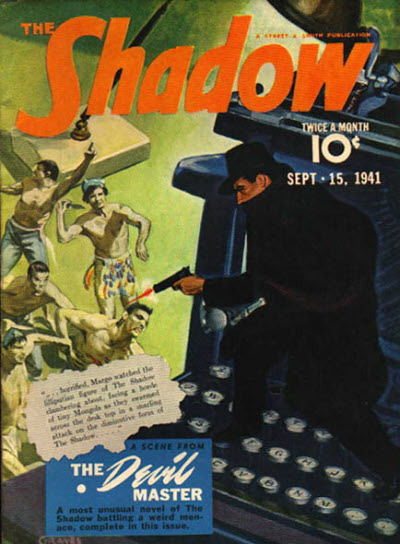 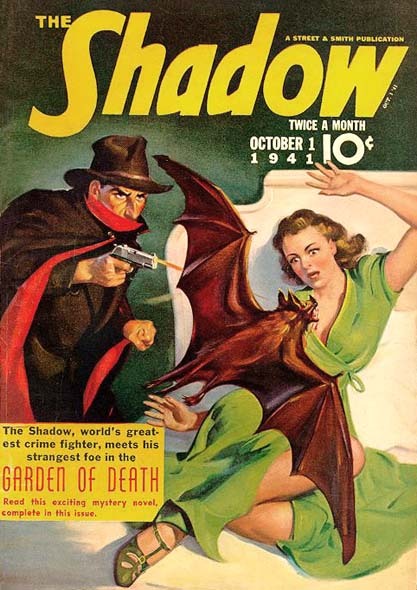 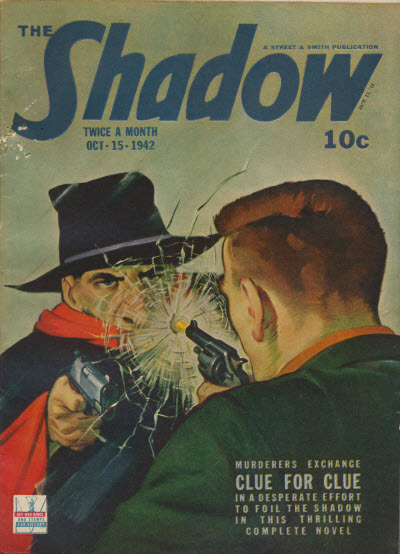 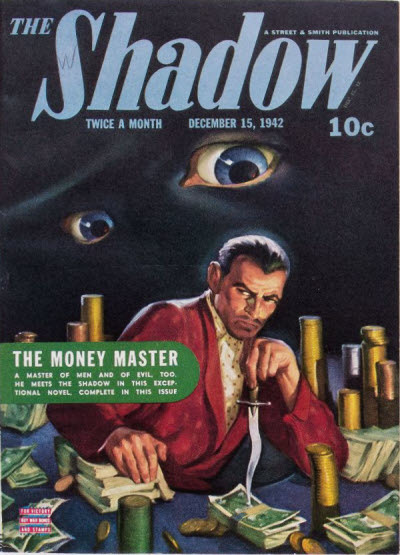 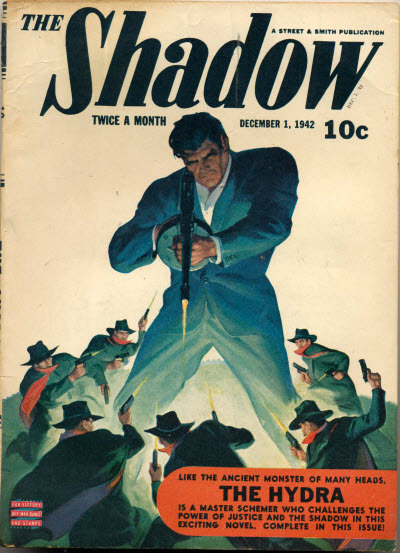 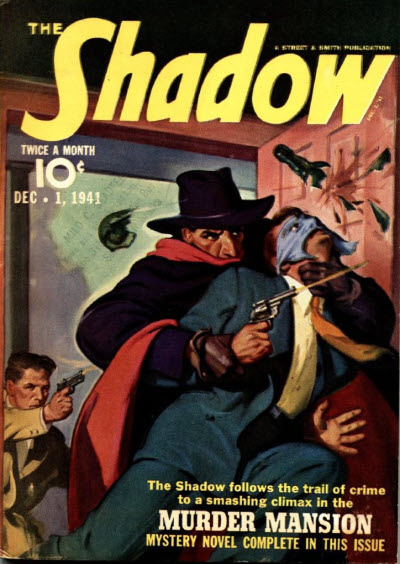 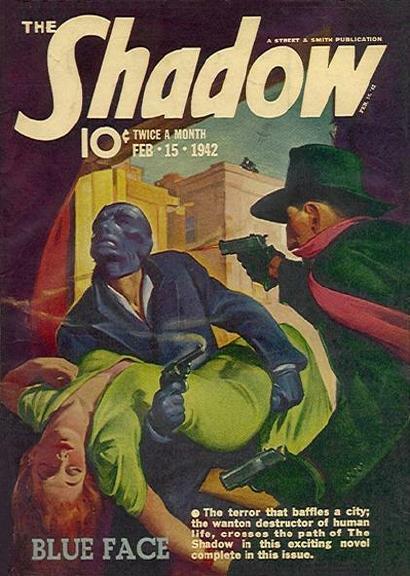 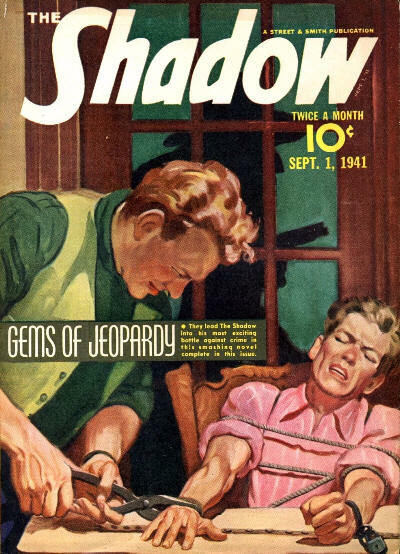 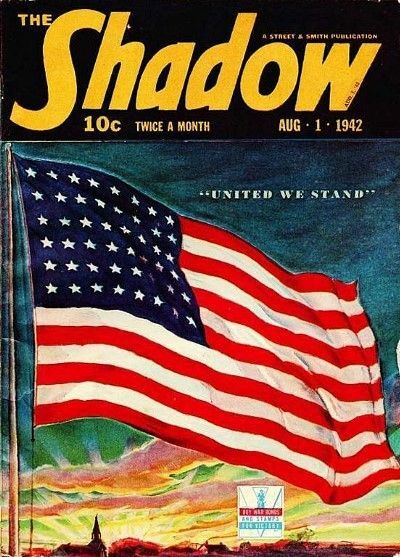 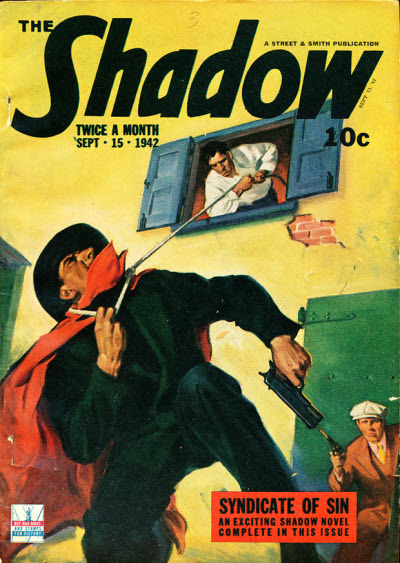 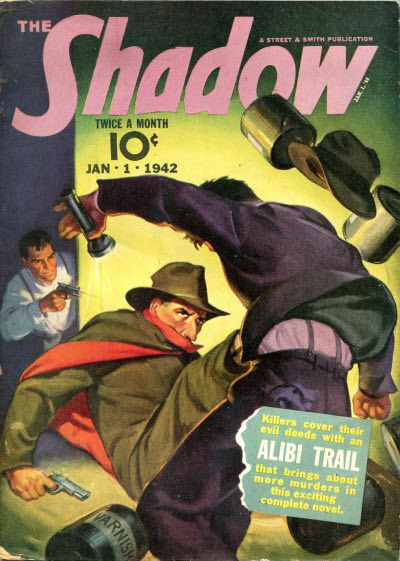 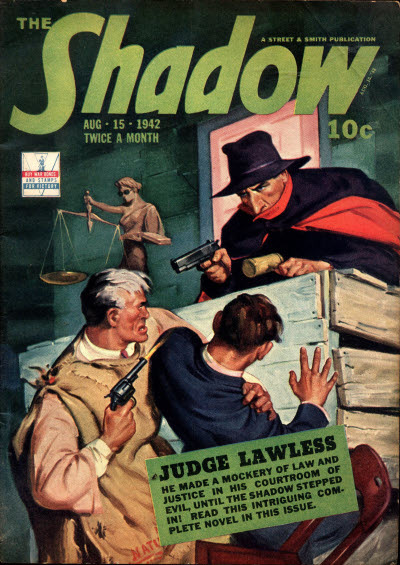 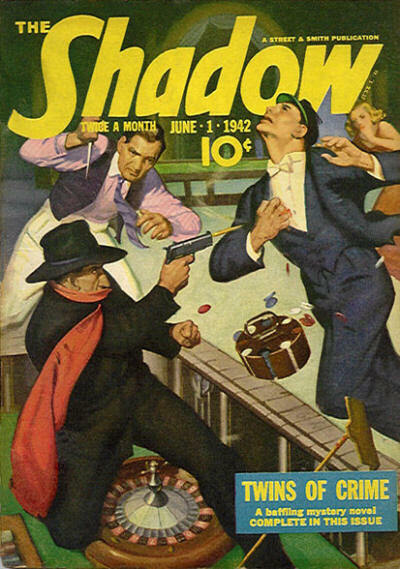 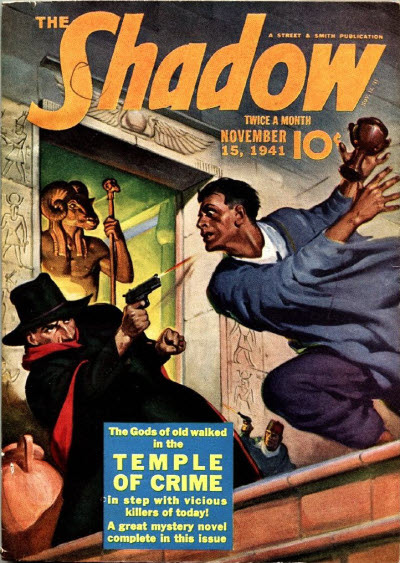 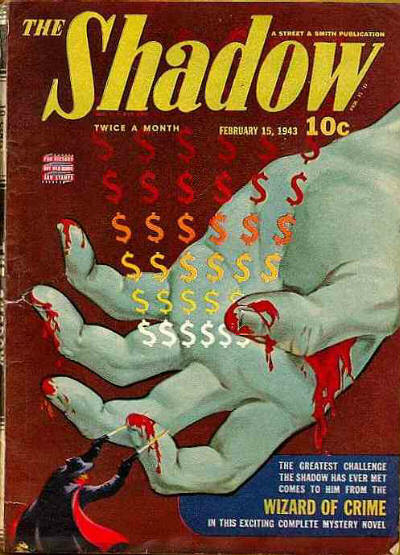 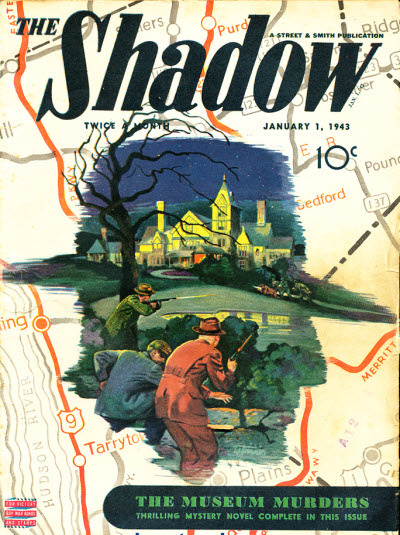 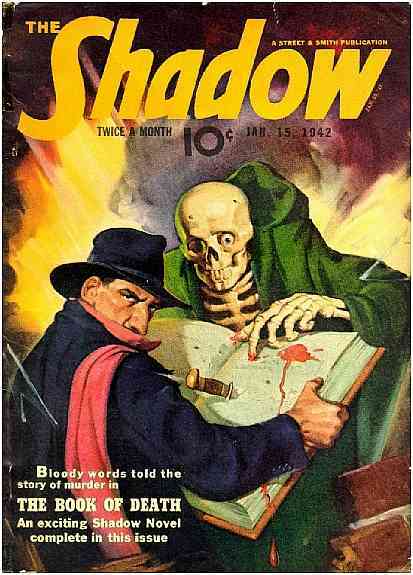 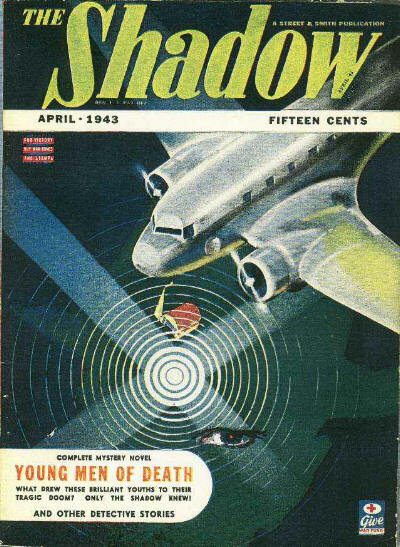 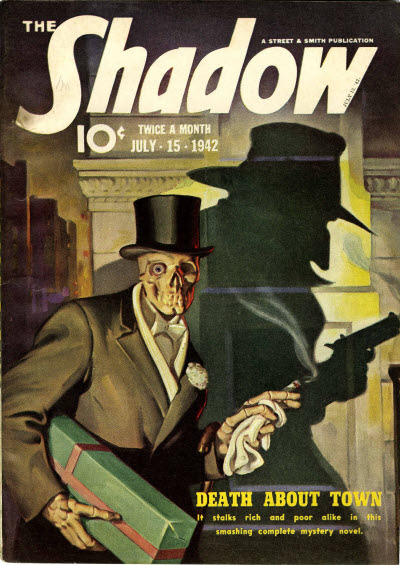 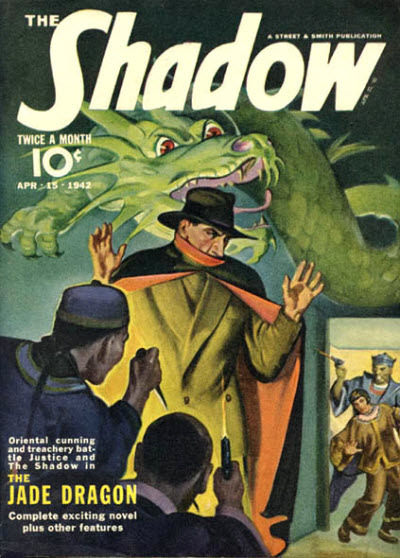 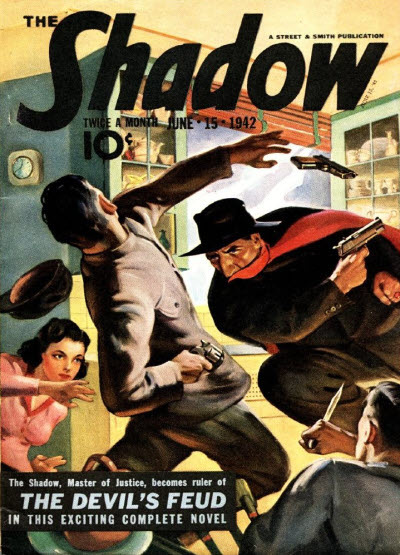 9 · The Shadow Meets the Mask [Kent Allard (The Shadow)] · Maxwell Grant (by Walter B. Gibson) · n.; not the same as the story of the same name in the January 10, 1944 issue. 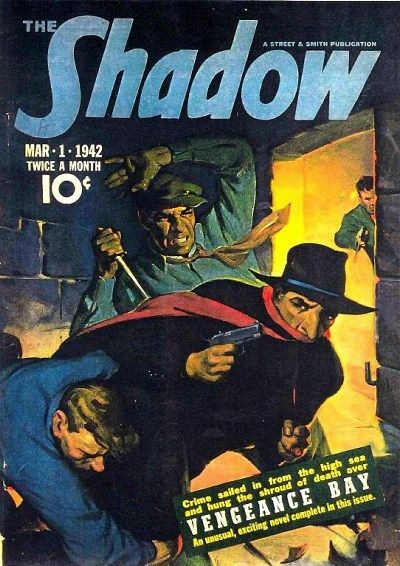 9 · Gems of Jeopardy [Kent Allard (The Shadow)] · Maxwell Grant (by Theodore A. Tinsley) · n.
9 · The Devil Master [Kent Allard (The Shadow)] · Maxwell Grant (by Walter B. Gibson) · n.
9 · Garden of Death [Kent Allard (The Shadow)] · Maxwell Grant (by Walter B. Gibson) · n.
96 · Danger in the Night [Johnny Lannigan] · William G. Bogart · ss; probably not the same as the story of the same name in the December 10, 1942 issue of Short Stories. 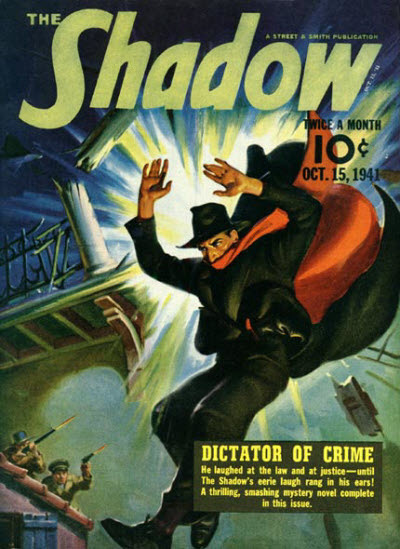 9 · Dictator of Crime [Kent Allard (The Shadow)] · Maxwell Grant (by Walter B. Gibson) · n.
9 · The Blackmail King [Kent Allard (The Shadow)] · Maxwell Grant (by Walter B. Gibson) · n.
9 · Temple of Crime [Kent Allard (The Shadow)] · Maxwell Grant (by Walter B. Gibson) · n.
9 · Murder Mansion [Kent Allard (The Shadow)] · Maxwell Grant (by Walter B. Gibson) · n.
9 · Crimes Stronghold [Kent Allard (The Shadow)] · Maxwell Grant (by Walter B. Gibson) · n.
9 · Alibi Trail [Kent Allard (The Shadow)] · Maxwell Grant (by Walter B. Gibson) · n.; not the same as the story of the same name in the June 1946 issue. 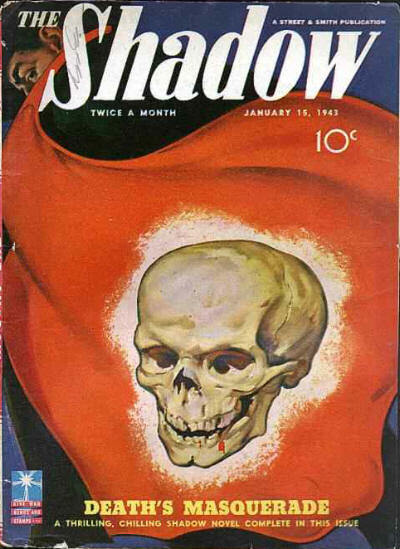 9 · The Book of Death [Kent Allard (The Shadow)] · Maxwell Grant (by Walter B. Gibson) · n.
9 · Death Diamonds [Kent Allard (The Shadow)] · Maxwell Grant (by Walter B. Gibson) · n.
9 · Blue Face [Kent Allard (The Shadow)] · Maxwell Grant (by Theodore A. Tinsley) · n.
9 · Vengeance Bay [Kent Allard (The Shadow)] · Maxwell Grant (by Walter B. Gibson) · n.
9 · Room of Doom [Kent Allard (The Shadow)] · Maxwell Grant (by Walter B. Gibson) · n.
9 · The Jade Dragon [Kent Allard (The Shadow)] · Maxwell Grant (by Walter B. Gibson) · n.; not the same as the story with a very similar title in the September 1, 1948 issue. 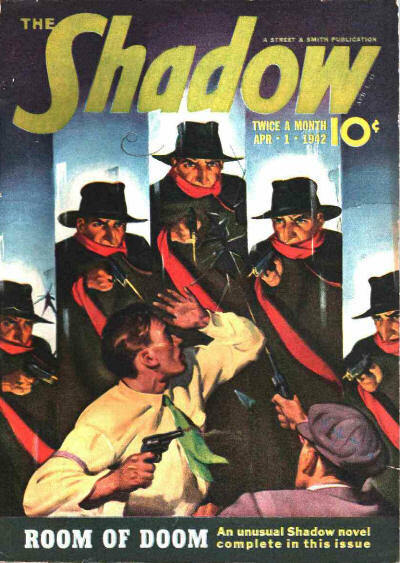 9 · The Northdale Mystery [Kent Allard (The Shadow)] · Maxwell Grant (by Walter B. Gibson) · n.
9 · Deaths Bright Finger [Kent Allard (The Shadow)] · Maxwell Grant (by Theodore A. Tinsley) · n.
9 · Twins of Crime [Kent Allard (The Shadow)] · Maxwell Grant (by Walter B. Gibson) · n.
9 · The Devils Feud [Kent Allard (The Shadow)] · Maxwell Grant (by Walter B. Gibson) · n.
9 · Five Ivory Boxes [Kent Allard (The Shadow)] · Maxwell Grant (by Walter B. Gibson) · n.
9 · Death About Town [Kent Allard (The Shadow)] · Maxwell Grant (by Walter B. Gibson) · n.
9 · Legacy of Death [Kent Allard (The Shadow)] · Maxwell Grant (by Walter B. Gibson) · n.
9 · Judge Lawless [Kent Allard (The Shadow)] · Maxwell Grant (by Walter B. Gibson) · n.
9 · The Vampire Murders [Kent Allard (The Shadow)] · Maxwell Grant (by Walter B. Gibson) · n.
9 · Syndicate of Sin [Kent Allard (The Shadow)] · Maxwell Grant (by Theodore A. Tinsley) · n.
9 · The Devils Partner [Kent Allard (The Shadow)] · Maxwell Grant (by Theodore A. Tinsley) · n.
9 · Clue for Clue [Kent Allard (The Shadow)] · Maxwell Grant (by Walter B. Gibson) · n.
9 · Trail of Vengeance [Kent Allard (The Shadow)] · Maxwell Grant (by Walter B. Gibson) · n.
9 · The Murdering Ghost [Kent Allard (The Shadow)] · Maxwell Grant (by Walter B. Gibson) · n.
10 · The Hydra [Kent Allard (The Shadow)] · Maxwell Grant (by Walter B. Gibson) · n.
10 · The Money Master [Kent Allard (The Shadow)] · Maxwell Grant (by Walter B. Gibson) · n.
10 · The Museum Murders [Kent Allard (The Shadow)] · Maxwell Grant (by Walter B. Gibson) · n.
10 · Deaths Masquerade [Kent Allard (The Shadow)] · Maxwell Grant (by Walter B. Gibson) · n.
10 · The Devil Monsters [Kent Allard (The Shadow)] · Maxwell Grant (by Walter B. Gibson) · n.
10 · Wizard of Crime [Kent Allard (The Shadow)] · Maxwell Grant (by Walter B. Gibson) · n.; not the same as the story of the same name in the August 15, 1939 issue. 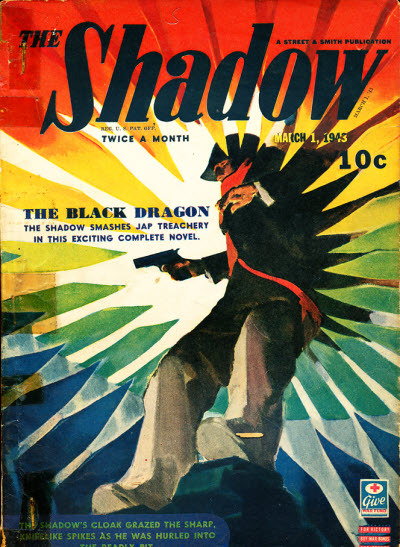 10 · The Black Dragon [Kent Allard (The Shadow)] · Maxwell Grant (by Walter B. Gibson) · n.
10 · Young Men of Death [Kent Allard (The Shadow)] · Maxwell Grant (by Theodore A. Tinsley) · n.
Details supplied by Chad Calkins. 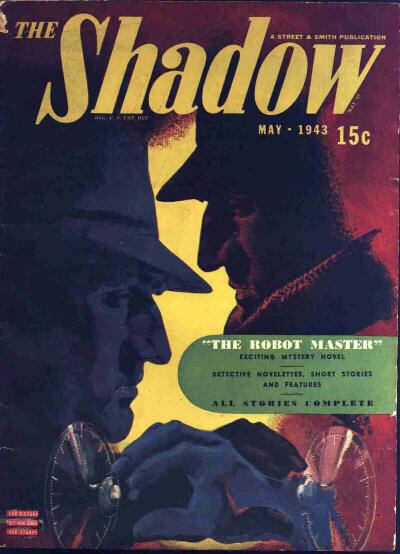 10 · The Robot Master [Kent Allard (The Shadow)] · Maxwell Grant (by Walter B. Gibson) · n.
10 · Murder Lake [Kent Allard (The Shadow)] · Maxwell Grant (by Walter B. Gibson) · n.
10 · The Golden Doom [Kent Allard (The Shadow)] · Maxwell Grant (by Theodore A. Tinsley) · n.